This is a meatless take on the classic Spaghetti Carbonara that typically features guanciale, pancetta or other (preferably unsmoked) bacon. 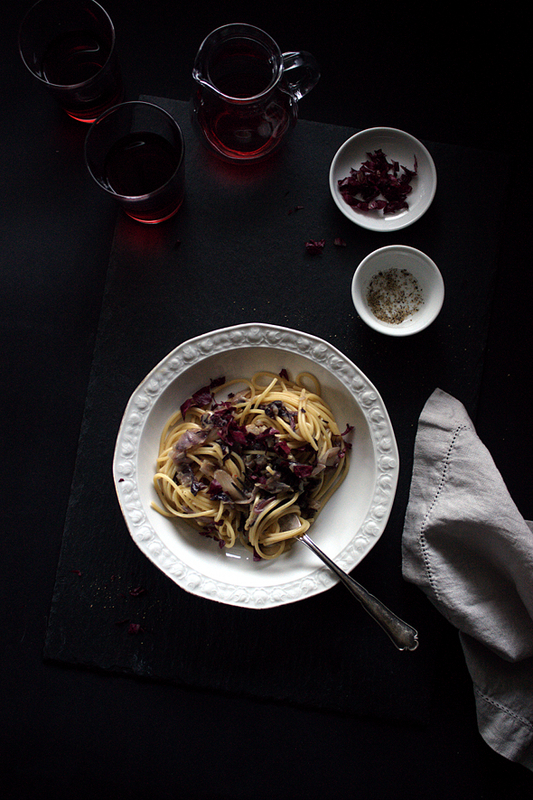 Sautéed radicchio refined with dry sherry is the star here. Similarly supported by fresh eggs – and a good reasonable amount (a ton!) of black pepper, hence the name ‘Carbonara’.